Location of the actuator and valve at bottom of hopper. 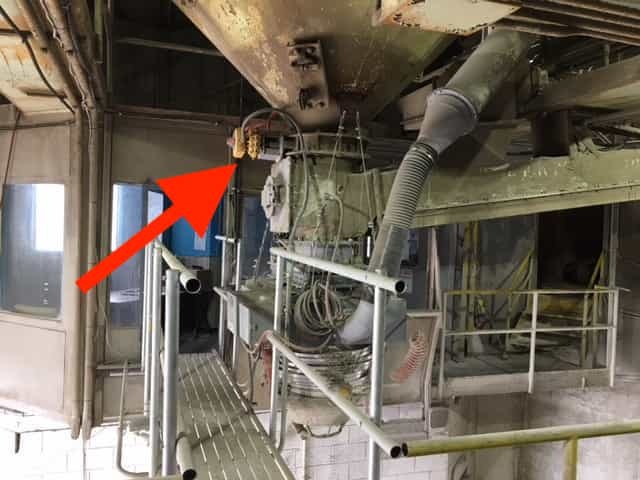 A midwestern cement plant had a hopper loading system that was being manually controlled. A human operator, using a long pole attached to a valve arm on a hopper, dispensed the flow of cement. The silo is divided internally into 4 sections. Each section has its own 12" butterfly valve which allows product to fall into a single hopper above a weighing scale. 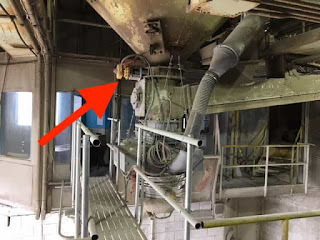 At the bottom of the hopper, and above the truck loading spout, the butterfly valve throttles the product into cement trucks. No only did this approach require a human operator (with associated costs and safety precautions) to be present, the manual system didn't provide the degree of control the company needed. 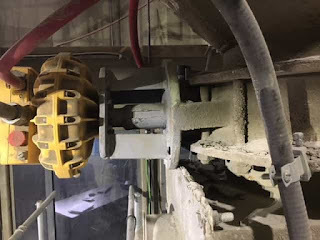 Careful control of the cement into the truck is important because uncontrolled flow, or too rapid a flow, will overwhelm the dust collection system and allow fugitive emissions (dust) to escape to the atmosphere. A serious regulatory and safety issue. Kinetrol actuators and positioners perform in dirt and dust. Together, the local Kinetrol Distributor sales rep and customer came up with a new system utilizing a Kinetrol vane actuator and an EL electropneumatic positioner. The new design accurately modulates the cement flow through the 12" valve. This approach gives the customer much closer flow control and eliminates the need to a human operator. It also allows for the terminal to be remotely operated from more than 4 miles away, all with reliable and repeatable results. For more information, contact Kinetrol USA by visiting https://kinetrolusa.com or by calling 972-447-9443.